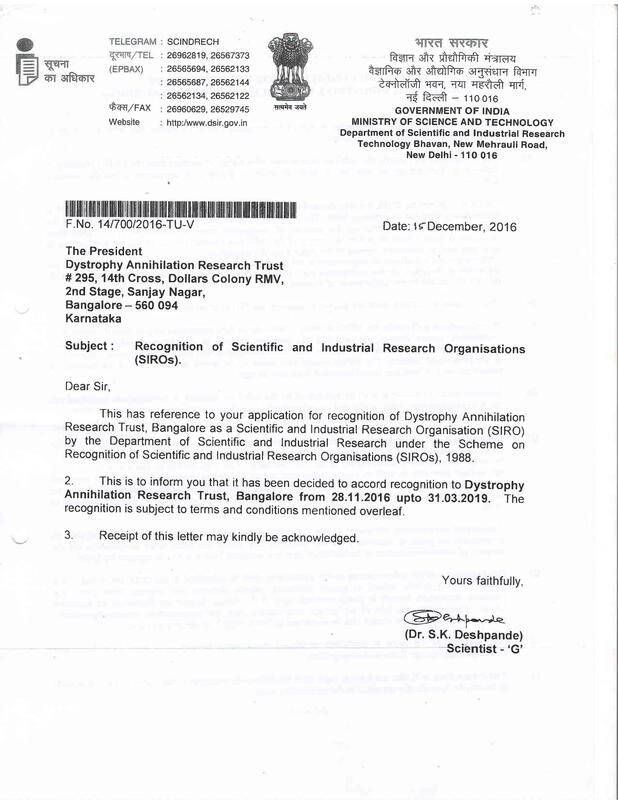 Dystrophy Annihilation Research Trust [DART] is the first Research lab in India focusing on Duchenne Muscular Dystrophy (DMD). We are a parent founded and funded organisation working towards achieving a realistic treatment option to alleviate and reverse the dystrophy condition at the genetic level thereby enhancing the quality of life of affected children. 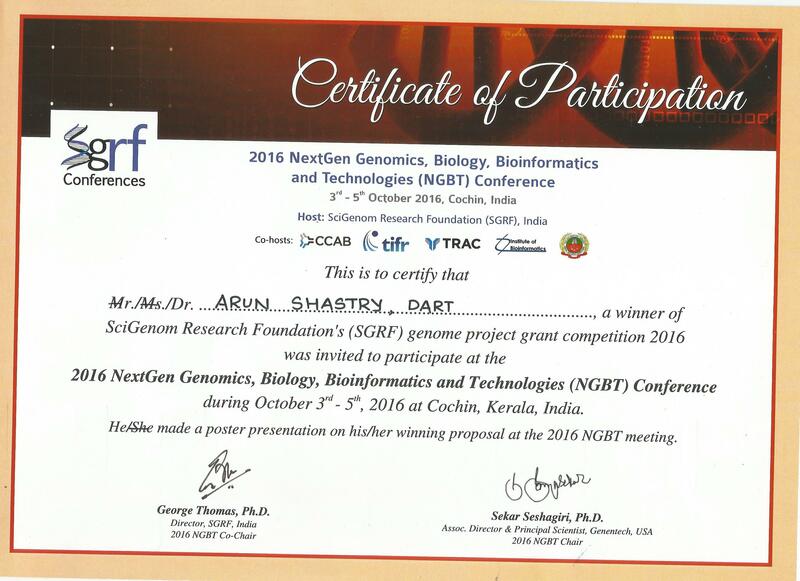 DART was founded by RS Anand who has been tirelessly working towards a deeper understanding of MD since discovering his son was affected by DMD in 2003. 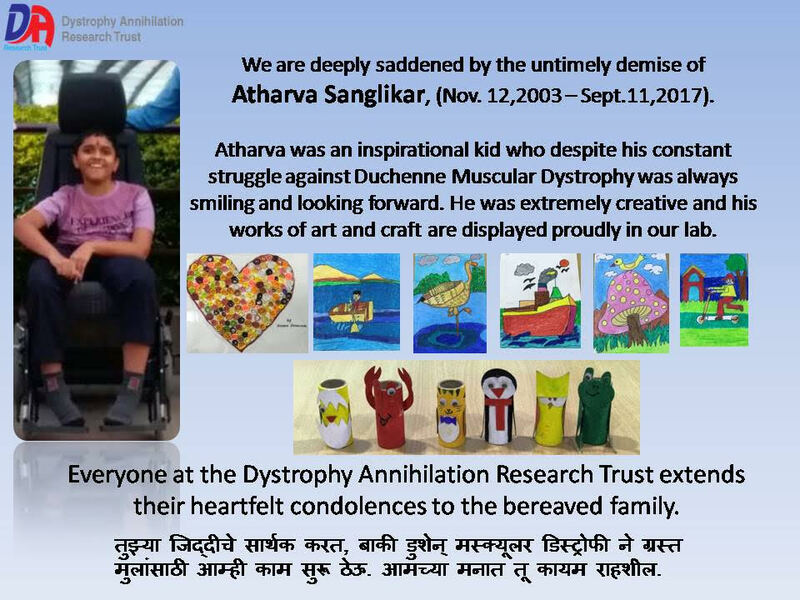 With India having more than 500 thousand boys with DMD it was startling that no proper research was being done for the same. The setting up of the R&D lab holds out much hope for children with MD. Families can take comfort in the fact that critical research is being carried out within their reach. 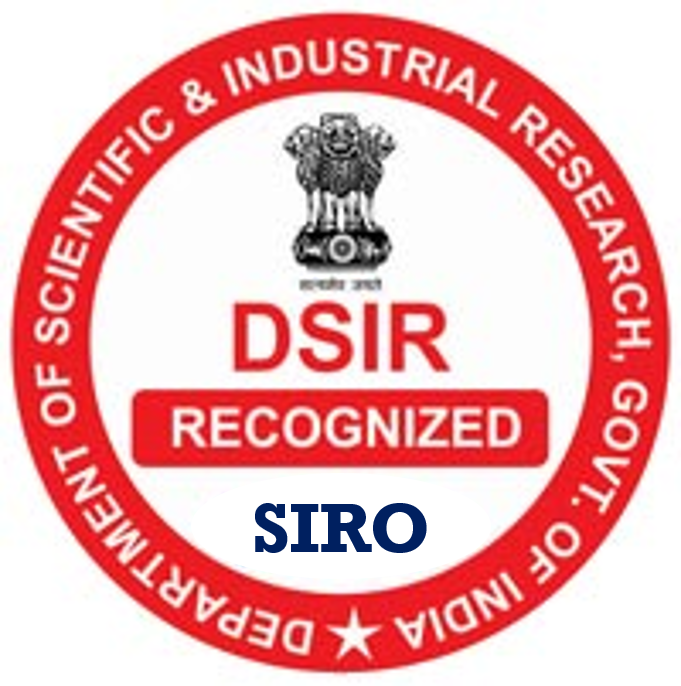 Though international research is in progress, not everybody can get access to such research. The lab is much needed to provide critical intervention in MD.